The first Christian state of those that exist to this day spreads over 29 743 square kilometers and has no access to the sea. Armenia is famous for its countless old monasteries and 3-thousand year old gastronomic traditions. Armenian cognacs in the times of the former USSR took prizes and often grand-prizes, due to what they are famous all over the world. No wonder that one of the most popular excursions is visiting the Yerevan cognac plant. The capital of Armenia Yerevan is often called “The pink city” because of the colored cladding of the majority of buildings in the center. And in 2012 UNESCO proclaimed Yerevan to be “The world capital of book” in the honor of 500th anniversary of Armenian book printing. 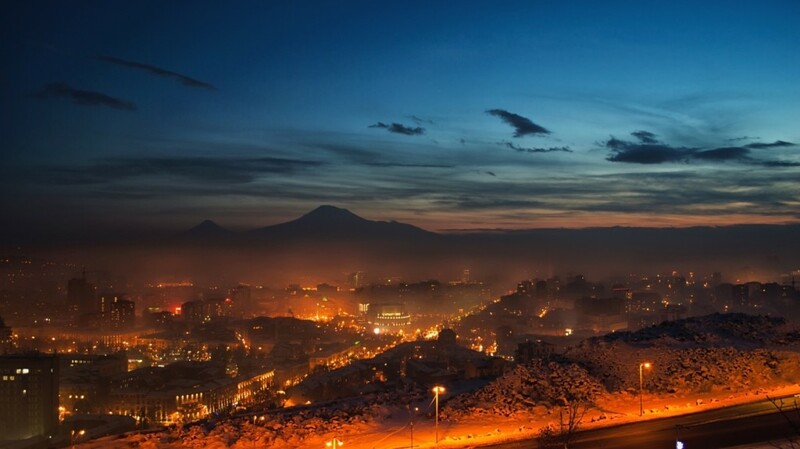 In the country there live 3 017 100 people, one third of which live in Yerevan – the biggest city of Armenia.